This Printed Back Pack is very light weight easy to open. This is cotton printed fabric. It has adjustable straps. Suitable to 4-7 years age group Kids. If you need a backpack for your kid to carry to daycare or preschool, this quilted backpack will be perfect! 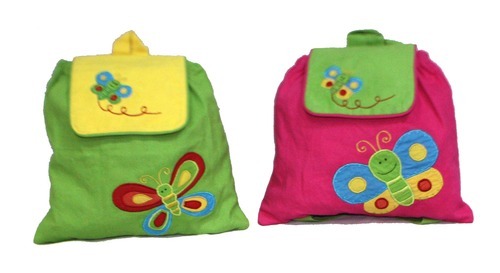 Sweet and stylish fully-lined quilted 100% cotton backpacks with zipper closer.